About once a week I make us an egg-y breakfast. 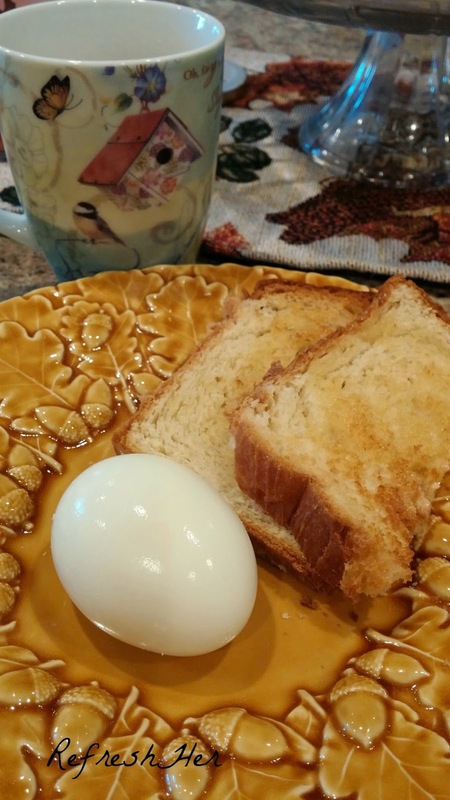 I love a yolk that is runny – you know so you can dip your sour dough toast into that puddle of deliciousness. I’ve struggled, though, with boiling the egg and the white still being a little too soft, then boiling it longer for the white and the yolk getting too hard. Grrr. That’s also one of my homemade cinnamon rolls on the plate. Put about a half inch of water (yes, that’s all!) in the pan and let it come to a boil. Add your eggs, straight from the fridge. 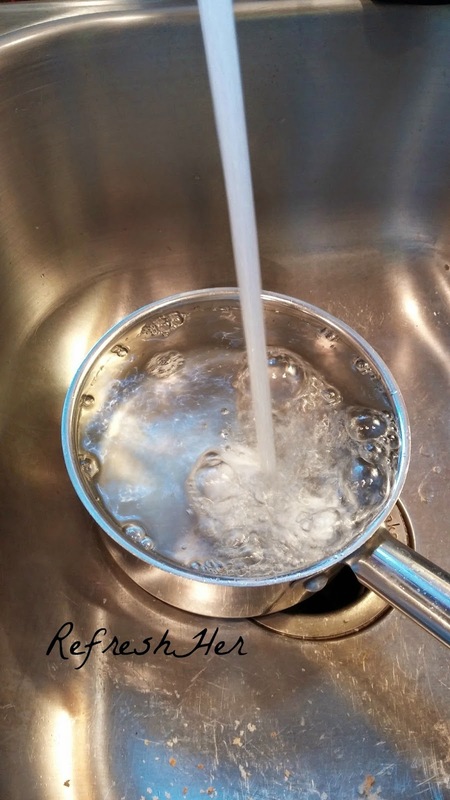 Return to a boil and cover with a lid. Set the timer for 6 1/2 minutes for large or extra large eggs – 6 minutes for medium eggs. 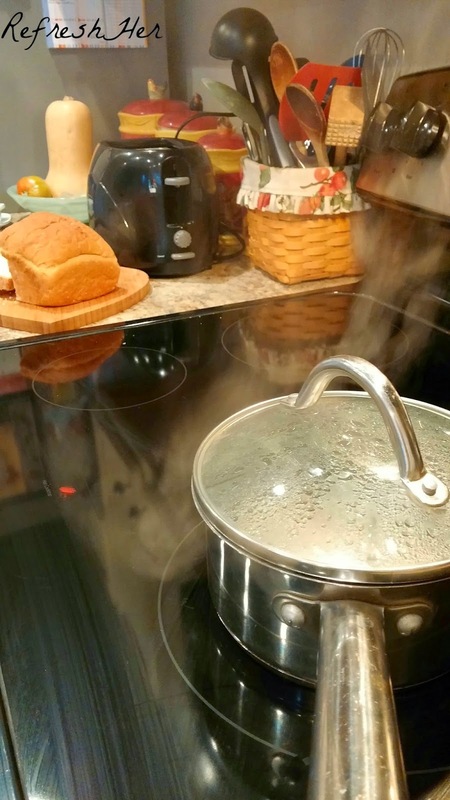 After the timer goes off, run cold water into pan for 30 seconds to stop the cooking process. You will then be able to peel the eggs and they will be ready to eat with a soft, runny yolk! 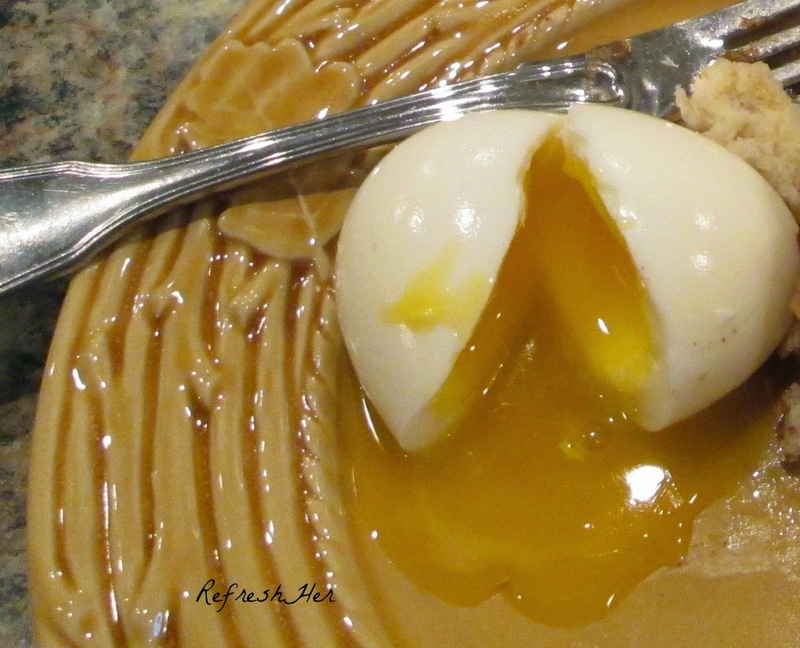 What’s your favorite way to eat an egg? I hope you’ll try this method if you enjoy a soft yolk. I’ve done them several times now and they’ve turned out perfect each time! I have finally perfected the art of eggs over easy! I can't stand the thought of eating a runny yolk, but Paul loves them that way. It takes practice to get the flipping and the timing just right! I'm sure Paul is thankful for your diligence! 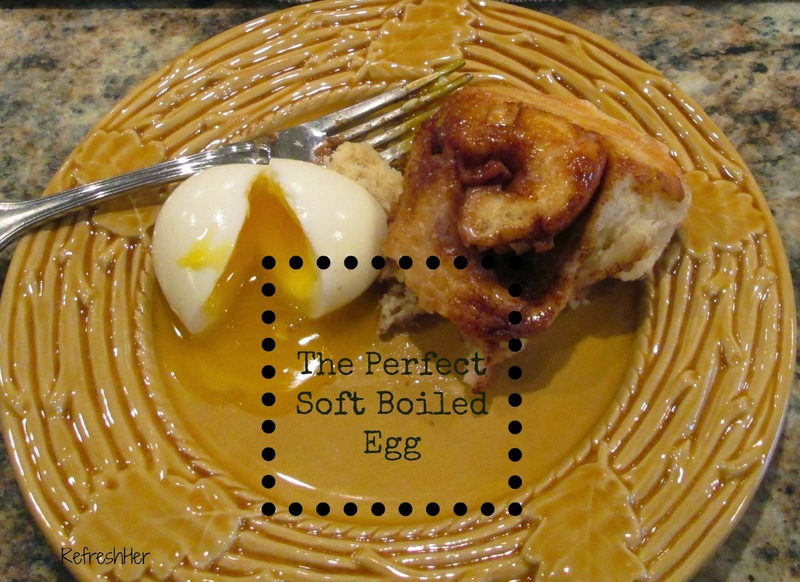 I tried these soft boiled eggs this morning and they were awesome! Thank you for the recipe! Perfect!